A new initiative unfolds in full glory across the United Kingdom on 12th March 2016, as more than 200 businesses up and down the country have pledged their support for Disabled Access Day. Owners of many significant buildings (many of which have traditionally not been thought accessible) will be reaching out to disabled people, encouraging and welcoming them to take the plunge and visit. The different premises will be holding their own events, tours, discounts and demonstrations of products or services to entice a more inclusive audience. The Tate Modern will be offering free guided tours specifically for disabled visitors and they will be making touch tours for visually impaired people available. Disabled Access Day has been set up to raise awareness of the importance of access for disabled people and to encourage venues to showcase their accessible facilities which makes perfect moral and business sense – the accessible tourism market in England being worth £12.4 billion each year alone. There are many business benefits for companies that can provide a warm and inclusive welcome to disabled people, their families and friends; If a company can get accessibility right for disabled people then it will get it right for all its customers. The former Minister for Disabled People claimed last year that UK high streets could be overlooking £212 billion worth of spending power every year by not attracting disabled people and their families, as they make up one in every five of customers. 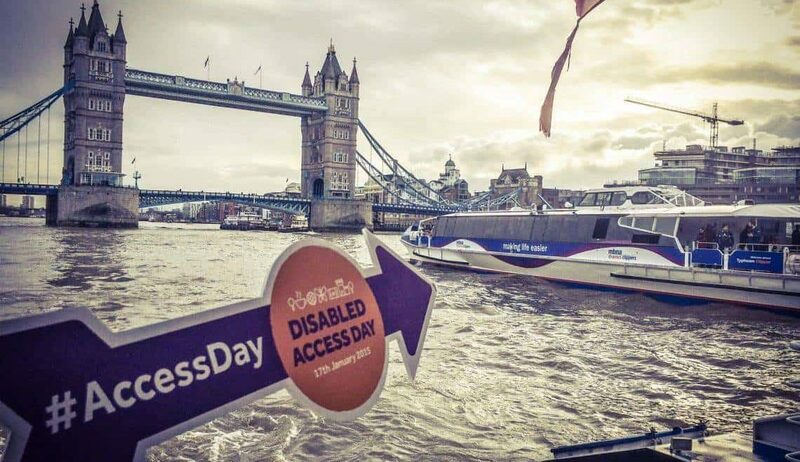 The first ever Disabled Access Day was in 2015 and proved a remarkable success, with hundreds of venues and organisations showing their support (there was even a motion in parliament expressing support for the day). 2016 will continue to demonstrate the enormous value to businesses of making their premises accessible. It’s still not too late to register your venue and take part in the 2016 Disabled Access Day. You can register here. If you’re not quite ready to register for the 2016 event and would like some help to review accessibility at your business, then Proudlock Associates can assist you. Please contact us today and one of our friendly, expert team will be happy to help and answer any questions. We’re on 0845 130 1669.